Over the past two decades behavioural insights have grown in prominence both in academic circles and in public policy institutions. Both the behavioural scientific literature and the number of relevant policy reports have increased exponentially. 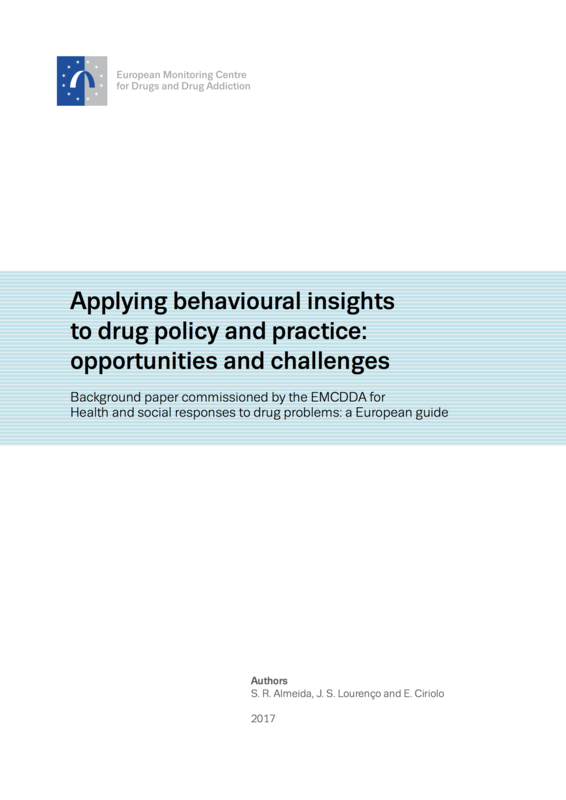 This paper reviews insights from behavioural sciences that are relevant for drug policy, encompassing both interventions specific to the field of drug addiction and more general insights that also have direct relevance to the field. It is worth noting, however, that a full systematic review was beyond the scope of this paper. This paper was commissioned by the European Monitoring Centre for Drugs and Drug Addiction (EMCDDA) to provide background information to inform and contribute to the drafting of Health and social responses to drug problems: a European guide. The EMCDDA is grateful to the authors for this valuable contribution. The paper has been cited within Health and social responses to drug problems and is also being made available online for those who would like further information on the topic. However, the views, interpretations and conclusions set out in this publication are those of the authors and are not necessarily those of the EMCDDA or its partners, any EU Member State or any agency or institution of the European Union.